Today we celebrate the work of Edgar Allan Poe, who needs no introduction. I chose his poem “Song” for today’s feature because it’s one of my personal favorites of his poetry collection. Since my first reading of this poem, I’ve been amazed by how vividly I can imagine this scene, as well as how much I feel I know about the two characters, even though the poem is only four stanzas long. 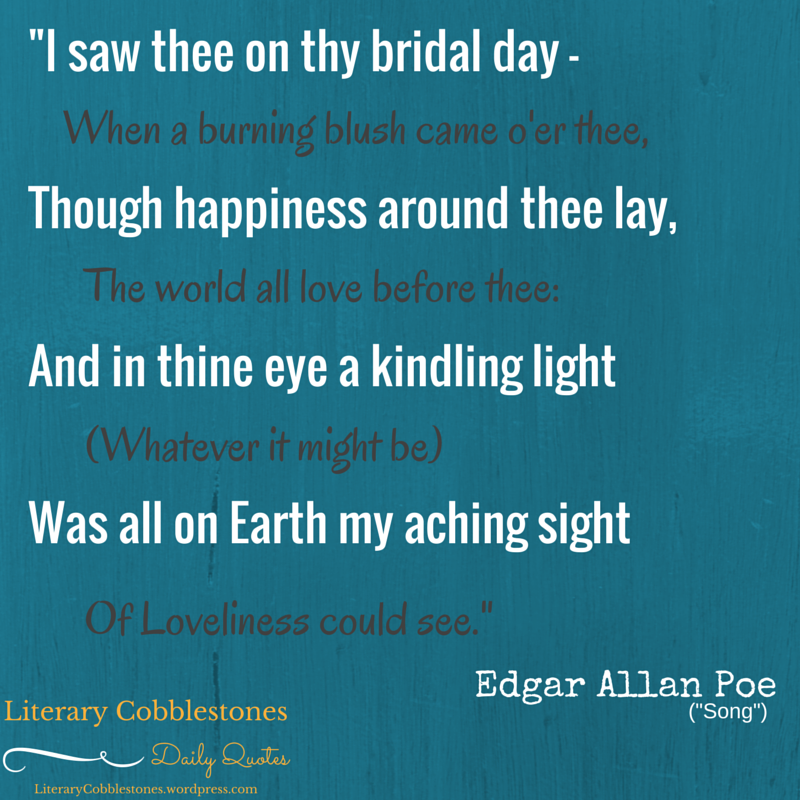 If you’d like to take a look at this particular work in its entirety, then check it out in this free ebook: “The Complete Poems of Edgar Allan Poe: ‘Song’ “. And, lastly, it’s probably apparent by now that I love visual stimulation, so here’s the full episode on Poe from Bio. : “Edgar Allan Poe: The full biography of Edgar Allan Poe”. One day away from a weekend of reading, coffee, & Netflix; we can do this.